When a phone is being manufactured, it needs protection and Corning is the best company to get in touch with. Corning announced Gorilla Glass 5 today, supposedly stronger than any glass they have made before. According to Corning, Gorilla Glass 5 survives up to 80% of the time when dropped face down from 1.6 meters (a little over 5ft.) in the air onto rough surfaces. This means, when you whip your Gorilla Glass 5-featuring smartphone out of your pocket and it falls onto the ground, 4 out of 5 times it should survive. I don’t know anyone whose pockets are 5ft. up in the air, but you get the idea – it’s tough glass. Over the course of Corning’s existence, Gorilla Glass has been used on more 4.5 billion devices, which is quite the impressive number. If you think about it, pretty much any Android phone you can think of has used Gorilla Glass. In this industry, it’s a household name. Not only will Gorilla Glass protect better from drops, but Corning also claims it should better protect against “sharp contact damage.” This would include the scratching of keys, blades, and things of a sharp nature. 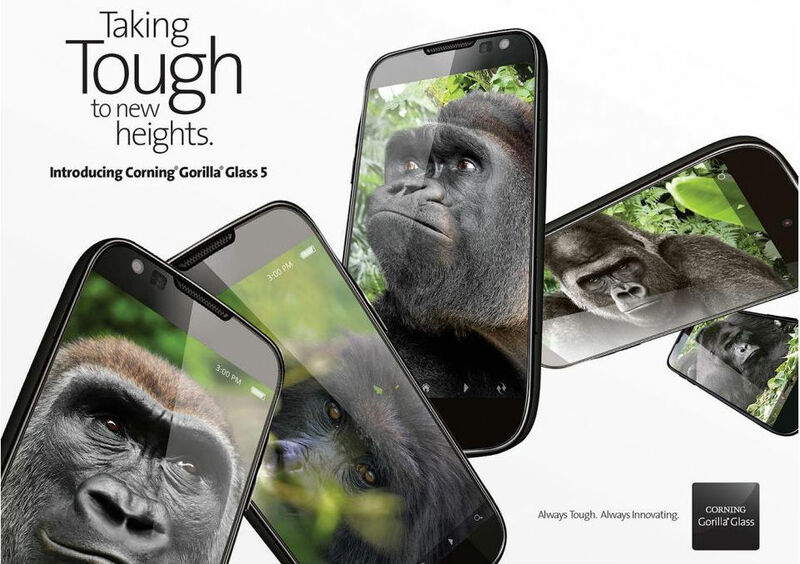 Corning expects Gorilla Glass 5 to be featured on a number of devices from market leaders later this year. Galaxy Note 7? New Nexus devices? iPhone 7? We shall see.